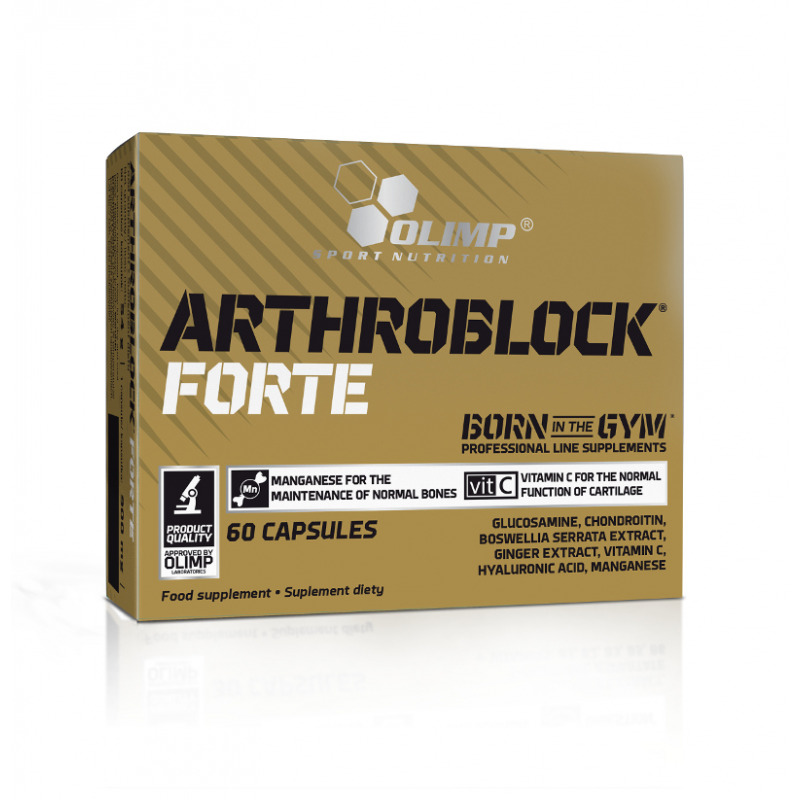 ARTHROBLOCK® FORTE is a food supplement containing ginger extract, Boswellia serrata extract and glucosamine. 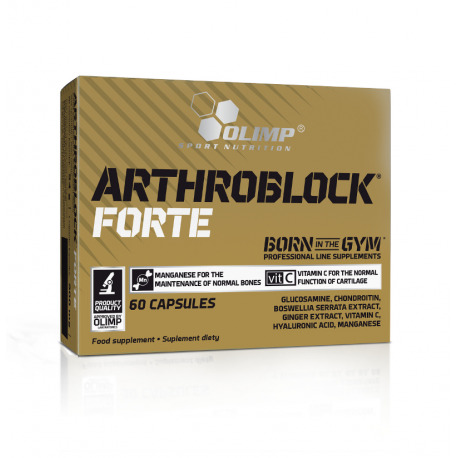 The product also contains vitamin C which contributes to normal collagen formation for the normal function of bones and cartilage, as well as manganese which contributes to the maintenance of normal bones and normal formation of connective tissue. Ingredients: 55,5% glucosamine sulfate 2KCl (from crustaceans), 11,1% chondroitin sulfate, 5,5% Boswellia serrata extract (Boswellia serrata Roxb. ex Colebr. ), 5,5% ginger extract (Zingiber officinale L.), 3,4% L-ascorbic acid (vit. C), 3% sodium hyaluronate, bulking agent – microcrystalline cellulose; 0,8% manganese bisglycinate (manganese amino acid chelate Albion®), anti-caking agent – magnesium salts of fatty acids; capsule (gelatine, colour: E 171). Recommended use: take 1 capsule 1-2 times a day. It is recommended to use for 2-3 months and then if needed again after 1-2 months break. Do not exceed the recommended daily dose. Food supplements should not be used as a substitute for a varied and balanced diet. A varied and balanced diet and a healthy lifestyle are recommended. Keep out of reach of children.